"Quick, easy, and tasty salad!" Put 1 cup spinach into each of 2 bowls. 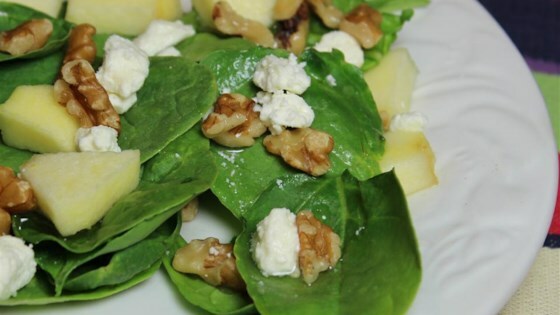 Sprinkle apple, goat cheese, and walnuts over the spinach. Very light and yummy...had with homemade poppy seed dressing. Love it! Great with Strawberry Balsamic Vinaigrette or Poppyseed Dressing.